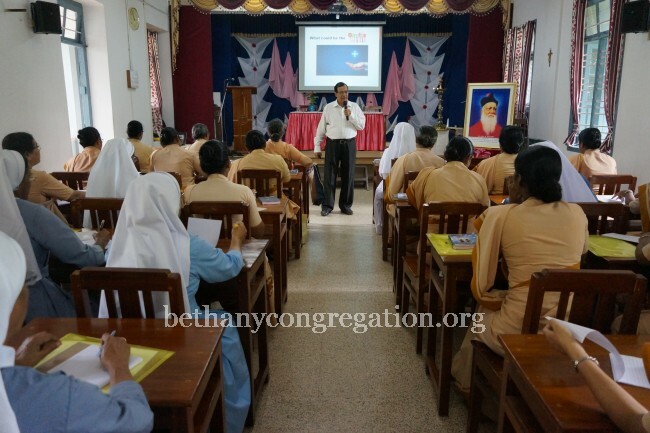 Bethany,30,August:Fifty five Sisters involved in temporal administration from North, South, East and west of India gathered in Pushpalaya Hall, Bethany – Mangalore on 20th August 2018 for a day’s annual meeting on Temporal Administration. 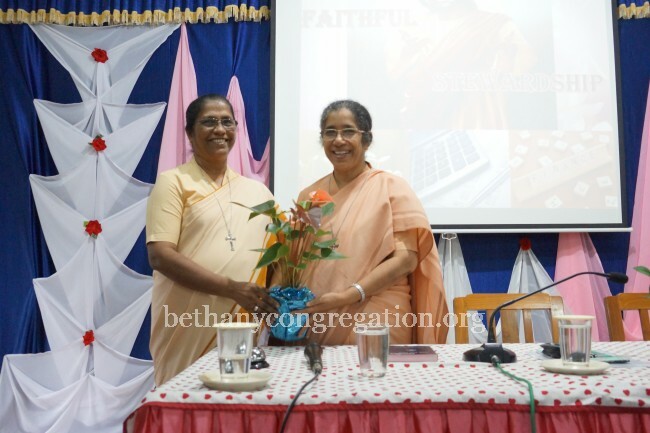 God’s blessings were invoked by Sr. Margarita and Sr. Reena Juliet, Sr. Cynthia Pais ably facilitated the days programme. 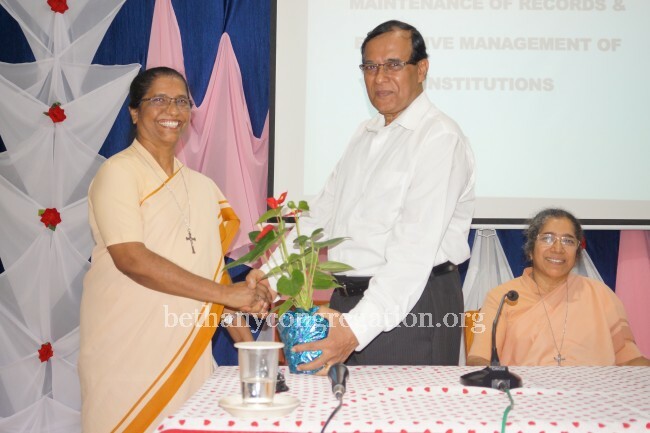 At the outset Sr. Christine Noronha – Procurator General accorded aningenious welcome to all the participants of the annual meeting on temporal administration. 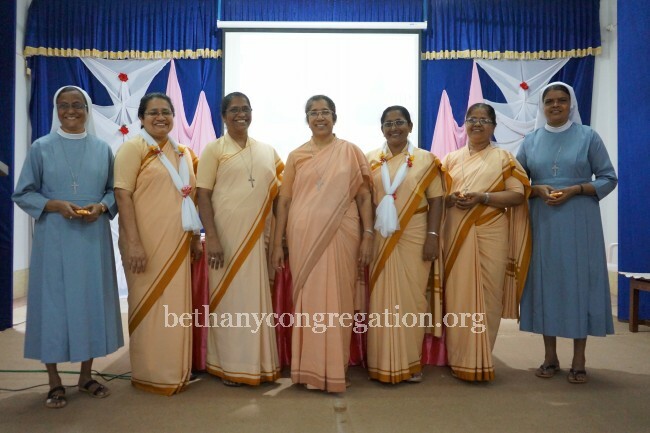 Sr. Rose Celine the Superior General in her opening address exhorted the Sisters to manage our temporal resources with Gospel stewardship. We ought to emulate the example and standards set by our Founder and Founding members who used the resources judiciously. She cautioned the Sisters of the baneful influence of money.  Major projects like putting up of building proper procedure needs to be followed like appointing an architect, calling for tenders, study of the tenders submitted by different contractors by the Architect, procedure of drawing up proper agreements and making a study of the same in the Council should be followed. Agreements should be made between the Provincial Superior and the Contractor witnessed by the Local Superior and the Architect. Supervision and Monitoring of implementation of major projects (buildings) should be done by the Province Procurator under the guidance of the Provincial Superior. 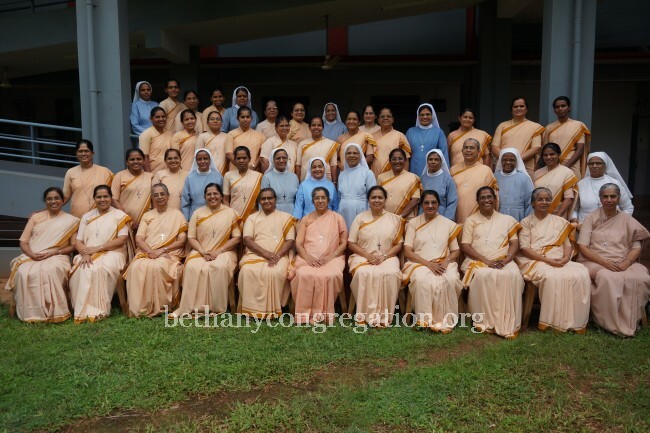  Vehicle is purchased by the Society/Trust - School and when it becomes old it is given to another Convent. This should be done as if the 1st party (Society) is selling the old vehicle to the 2nd party (Convent). The transaction should be clearly reflected in the accounts of both the Institutions. The registration details have to be changed in the RTO office. Mr. Robinson D’Souza an expert on land issues - the resource person of the day spoke on the importance of maintaining, preserving and safe-guarding accurate land records. 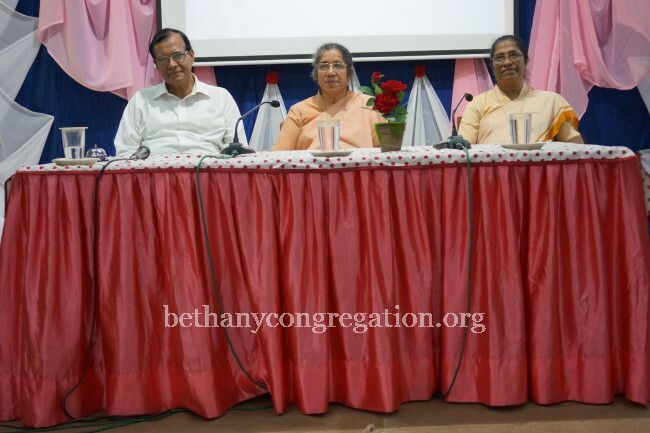 He cited many cases where the Church organizations are duped and the precious land is lost. We need to check annually the RTC/Encumbrance Certificate in Sub Registrar’s Office. He cautioned us not to laminate or spiral bind the original title deed (sale deed, gift deed), Katha/RTC (Rent Tenancy Crops) as they lose its validity in the court of law. We ought to be very vigilant and alert while purchasing the land. Once the negotiation is done, agreement is drawn up,we should issue a public notice so that if there is any dispute it will come to light. Speaking on Lease Deed he said it involves transfer of interest. Rent Act governs the LEASE and for the removal of tenant. Eviction happens only on the grounds permitted by the Rent Act. Leasing of the land has stronger legal bindings. When we rent out the immovable property Leave & Licensing is a better option as it does not transfer interest. It gives only the permission to occupy the immovable property. In conclusion the participants came up with the following priorities to be implemented in the coming year.  To do the internal audit every year and send the report to the Generalate.  To study the major estimates like that of construction of buildings by Finance Advisory Committee and Provincial Superior in Council before forwarding it to the Generalate.  Updating ourselves on the new legislations related to land matters&the Indian Constitution.